Dr. Woolman reviews all radiographs taken at TVRH and provides the rest of our team of veterinarians with critical diagnostic information. Dr. Lisa Woolman graduated from the University of Tennessee College of Veterinary Medicine in 2004. She then completed one year of internship at The University of Pennsylvania in Philadelphia. Dr. Woolman moved to the triangle to begin a 4 year residency in Veterinary Diagnostic Imaging at North Carolina State University in 2005. She obtained board certification in her specialty in 2009. 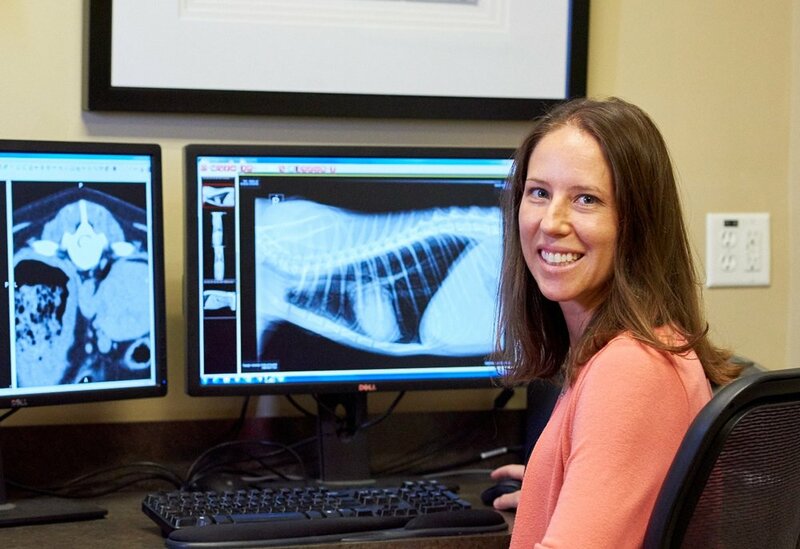 Dr. Woolman provides on-site in-patient and out-patient imaging services for Triangle Veterinary Referral Hospital. She has settled in Chapel Hill with her husband, son and their pets, 2 dogs and 4 cats.